Gastropub is the term used for restaurants and bars that pair food with beer. This trend began in Ireland and the UK in the early 1900s. Public houses or “pubs” for short, used to only care about serving up the perfect pint of beer, but now a good number of them are creating gourmet menus that go above and beyond your basic fish and chips. 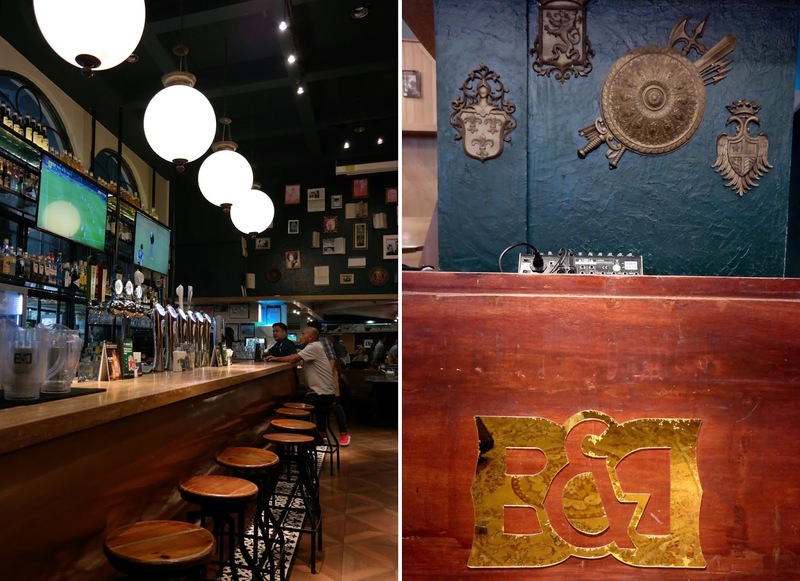 Gastropubs are fairly new to the Manila food and nightlife scene and there are only a few of the around. One of them is The Belle and Dragon, which I’ve been wanting to visit ever since I’ve heard of it. It is tucked away in the heart of Makati CBD. 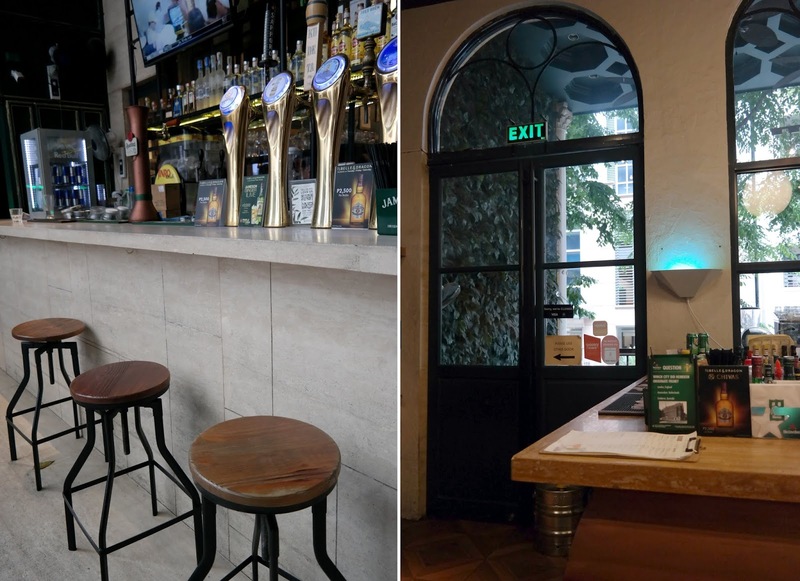 Almost any night of the week, you'll find expats and locals packing the tables and bar of this neighborhood gem, both after work and long into the noisy evening of the weekends. It is also a place hosting sports-viewing, live music and quiz night events. B&D’s tag line and concept is “East Meets Pub”. From the outside veranda you could already tell that it has a laid-back atmosphere. The massive arched windows and doors are aesthetically appealing, especially to me (I love huge windows!) 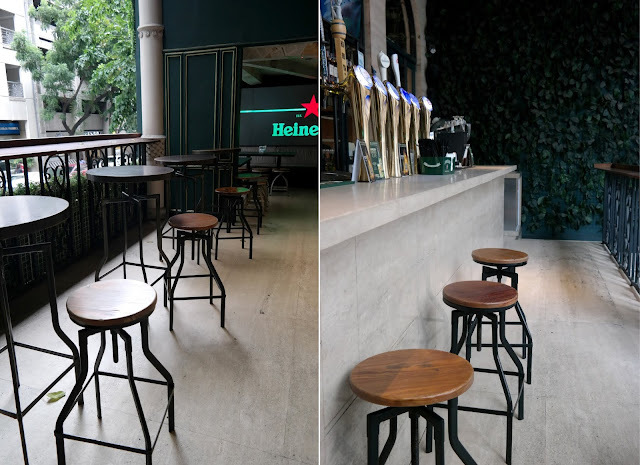 Inside, is a huge dimly-lit space with a high ceiling with a mix of vintage and quirky décors, a sprawling dark-wood bar with furniture bearing tones of dark green and browns – probably an ode to the Irish roots of pubs. Several flat screen TVs are scattered around the place. Notable pieces on the walls are those old-school hardbound books, a Katana, some coats and arms and a huge banner Jameson Whiskey (my go-to whiskey brand!). Both bars of The Belle and Dragon, on the veranda and inside, features a dynamic selection of beer taps from local and international microbrews including Stella Artois, Paulaner, Hoegaarden, Hoegaarden Rosee', Fish Rider Pale Ale, Saporro, Estrella Galicia, Kudeta IPA, Bulul, Monkey Eagle and Magners Irish Cider to name a few. 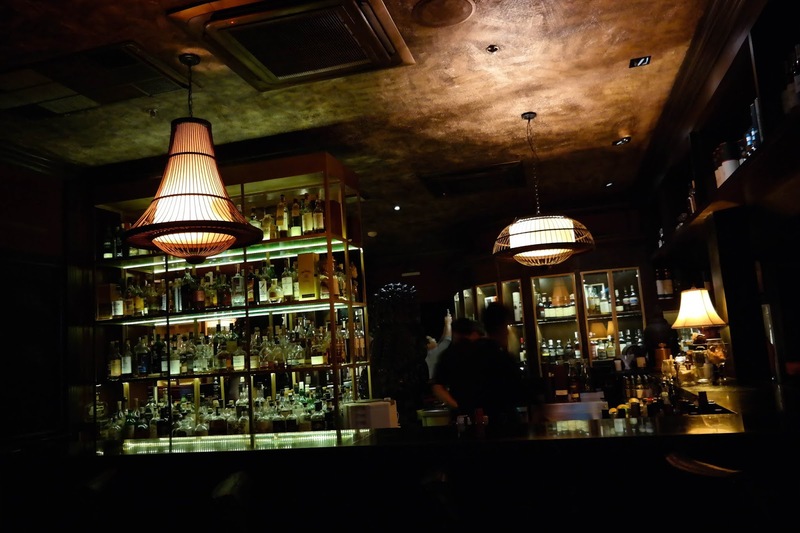 Besides those, they also have an extensive list of creative cocktails, whiskeys, vodkas, gins, rums, cognacs, tequilas and rums. Cream of Tomato Soup - a heart-warming soup made of pureed tomato with heavy cream. This creamy and velvety concoction is sure to warm your tummies in preparation for a night of booze fest. I kind of wish there was a grilled cheese on the side to dip into it. Bangers & Mash - this was probably one of my favorites among all the dishes that we tried. This is a traditional dish of Great Britain and Ireland comprising sausages served with mashed potatoes and smothered with gravy. The sausage was huge (no pun intended) and very tasty. The mashed potatoes the sausage lying on was smooth and creamy and went well with gravy. This is the perfect bar food IMO. Lamb Sisig - Twice cooked lamb hash, seasoned with onions, garlic, ginger, chilis, calamansi, and vinegar. Served with, chicharon and topped cilantro and an egg. sisig can’t get any more posh and luxurious than this. It’s just a nice alternative to the usual; chopped pork ears. This is a very good beer pairing for sure. My only concern is that since it’s made of lamb, the fat solidifies faster than usual. Scotch Eggs - consists of a hard-boiled egg wrapped in sausage meat, coated in bread crumbs, fried topped with a piece of anchovy on Parmigiana sauce. These eggs were bomb and my favorite of all the dishes! I like that the yolk was a little runny in the middle and the anchovy was a great addition giving it a slightly salty flavor. And oh, the Parmigiana sauce was a great combo with it too. Belle and Dragon Crispy Pata - nothing says Filipino bar food better than crispy pata right? This party fare is a consistent mainstay in any menu where beer and alcoholic drinks are being served. It’s a sinful and guilty pleasure that most of us can’t resist. This had a super crunchy skin and quite tender meat. It also came with four different types of dips/sauces but my favorite was the old-school soy-vinegar dip. Double D Burger - A huge burger with 5 layers consisting of 4 bread and 2 homemade beef burger patties. Black Angus beef patties, B&D sauce, caramelized onions, cheddar cheese, tomatoes and lettuce. TBH, there was nothing really astonishing about it other than it’s very filling, I don’t know but maybe I’m just not a big burger fan. Oh by the way, this burger will be offered buy 1 take 1 every Friday starting August. So if you’re a burger fan, you’ll enjoy one or two of these. The Big D - sausage on a bun with chopped onions, dressing, cucumber and house made crisp potato chips served with sriracha aioli. Ok, don't be so gutter mind now, this is sausage in a bun which is another fave of mine (I said stop being gutter mind haha!) among the dishes that we ate probably because the sausage as pretty good and wrapped in bacon. I simply just like the vibe of Belle and Dragon and I really can see myself returning especially that I want to try their whiskey-based cocktails. I would also want to join one of their quiz nights where the winning team can take home a bottle of Chivas Regal Scotch Whiskey.